We strive to make every project you produce with us as efficient and seamless as possible saving you time and in turn, money. Below are samples of some different marketing projects we've worked on with our clients. 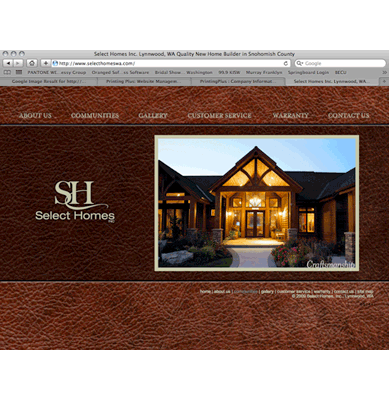 This website was designed and built for Select Homes, a home builder based in Lynnwood, WA. 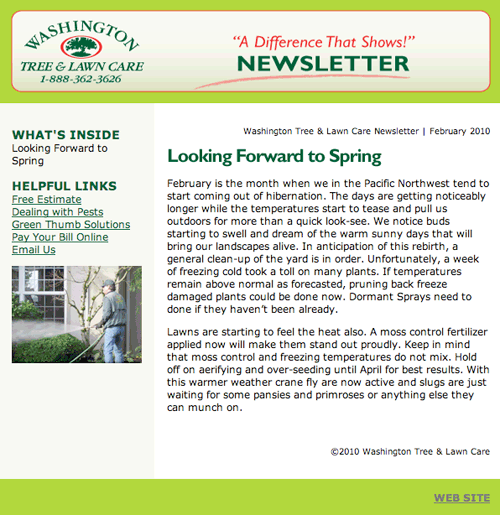 Washington Tree relies on us to design and deploy their monthly E-Newsletter. 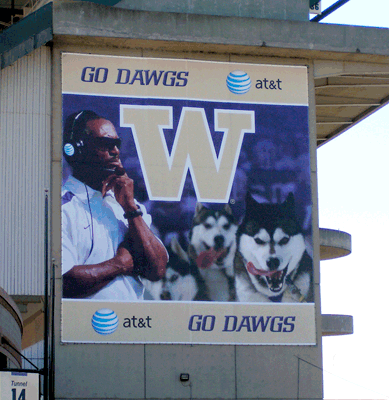 Signage designed for AT&T at the UW Husky Stadium. We also provided production coordination. 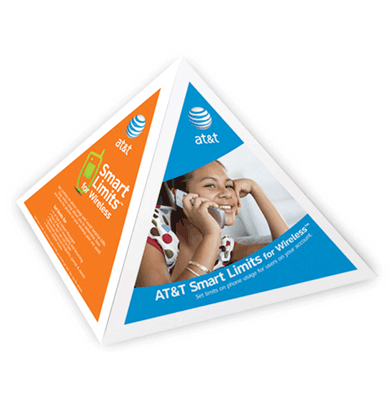 This is a 3D pyramid table tent designed and produced for the AT&T's Smart Limits for Wireless promotion. 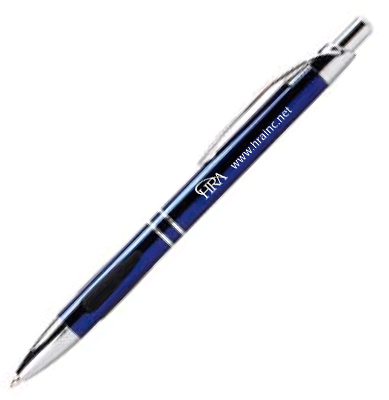 This pen was designed for HRA for a recent trade show in Washington D.C. We also provided production coordination. 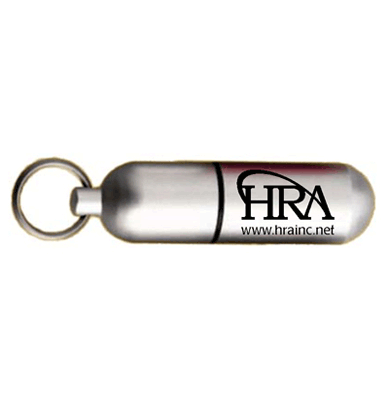 This USB Flash Drive art was designed and production coordinated for HRA. 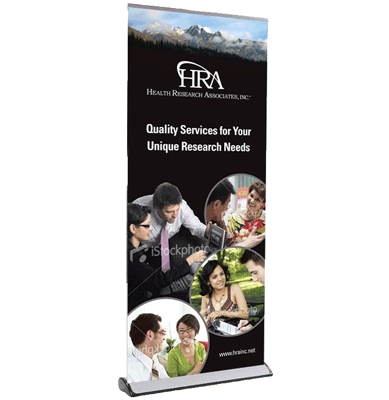 This Banner Stand was used in conjunction with the Trade Show Table for HRA at their booth in Washington D.C. We provided graphic design and production coordination for this project. 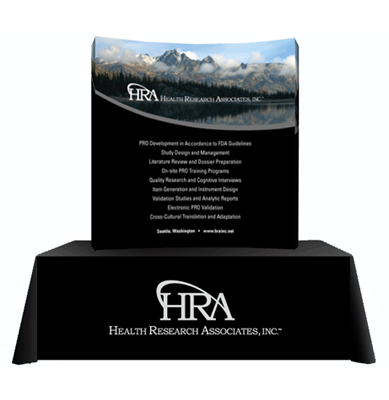 This stand and table cloth were designed and production coordinated for HRA and used at a trade show in Washington D.C.